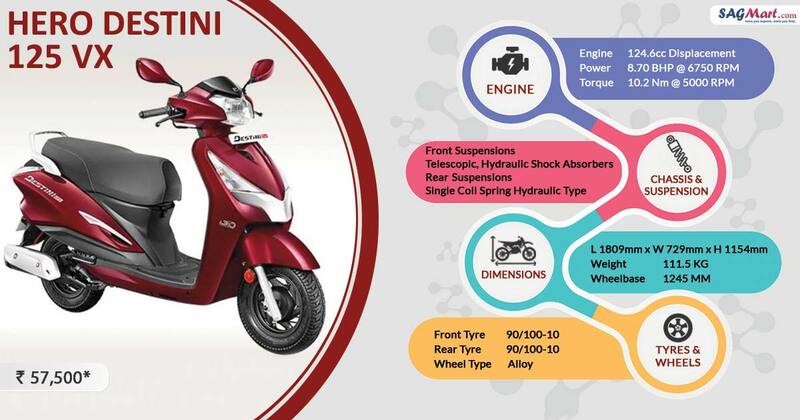 Hero Destini 125 VX is said to rival much popular Activa 125 and its own in house production model Hero Maestro. Hero Duet 125 has the same 124.6cc single cylinder air-cooled, four-stroke engine that produces 8.7 bhp at 6,750 rpm and 10.2 Nm of peak torque at 5,000 rpm. It will be premium offering in front of its 110 cc counterparts with silver chrome lining, two tone color scheme and i3S technology.